Change is the only constant word in the world of SEO. In fact, according to reports, Google has reportedly changed its search algorithm around 500-600 times in an entire year. Though majority of these updates are small and are not even noticed by the users, once in a while, Google releases a few major updates. It was over the past years that we saw around 9 major updates to the algorithm among which 2 of the most noteworthy were Possum and Penguin 4.0 which caused a lot of stir. 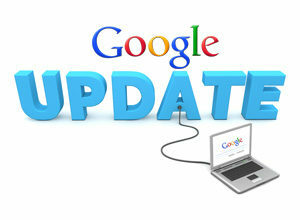 Here are few things to do post a major SEO update. You shouldn’t panic: Yes, it’s true that major algorithm updates can definitely be intimidating but we actually never get a list of details of the changes from Google. Hence, panicking about something which we hardly know of is merely a waste of time and energy. For instance, with the introduction of Penguin 4.0, Google shared some info through Google Webmaster Central Blog and also helped us with few details. But before knowing such information there were too many speculations on what is to come and what isn’t coming. While some were right, most were wrong. Wait before giving your reaction: After you control yourself from panicking, the next step to take is to wait and react. You may feel tempted to make certain changes to your website but before you know anything it could simply lead to a waste of time and energy. Rather than that the smartest thing that you can do is to wait and check whether or not your website has been affected. If you’ve been doing SEO in a proper manner, there are less chances of your website being affected. Read credible information and make adjustments: Where to get started from is the toughest decision. Firstly, visit Google Webmaster Blog as this is indeed one of the best places to start. Read any info that is posted there as that is an authentic source. In case you see that your site is hit, you have to work on those things which can improve the condition of your site. Go through such credible sources and immediately take required steps to save your website. So, if you’ve just read that there’s a major algorithm update from Google, don’t fret. Instead follow the above mentioned steps to steer clear from any confusion.